It was yesterday April 23 that I had to say good bye to my old best cow Steppin Up. 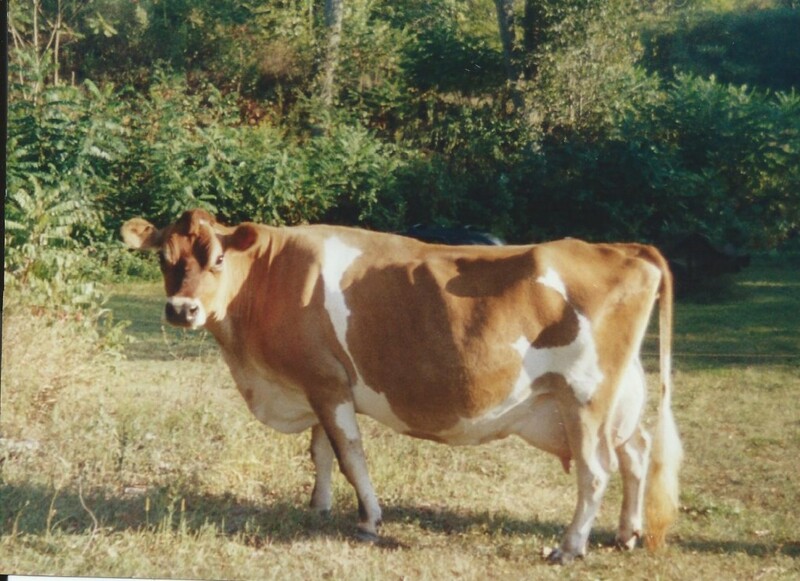 Cows have been a part of my life for about fifty years now and Steppin has been our last cow. The winter was a hard one and Steppin turned 15 years last September. 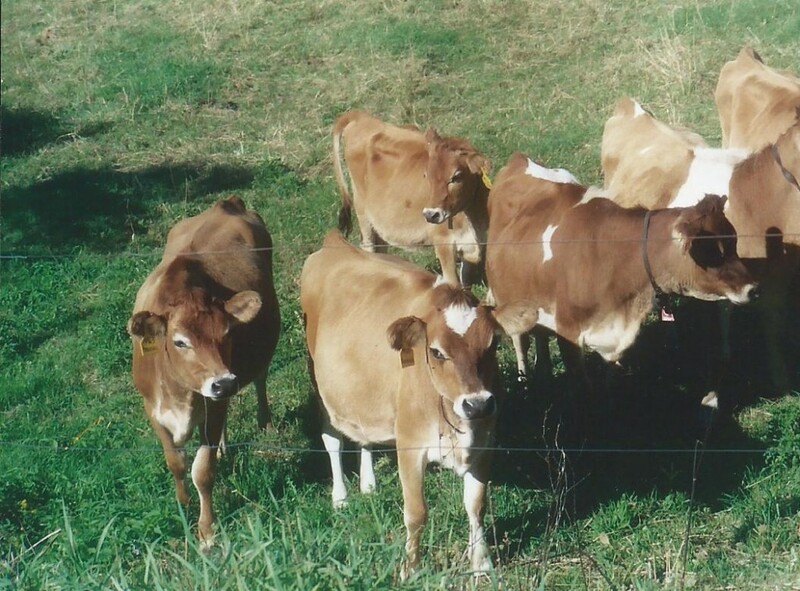 A few other cows we owned lived fourteen years. She had the highest milk records. As a first lactation heifer Steppin was the top of her class. She was a light brown jersey with white, a wide friendly face with black around her eyes shaded by long lashes. Steppin was always a hefty girl and very wide, big but quiet. She was selected by the All American Show sale committee as a top candidate for the annual national sale but was not due to calve at a favorable time and stayed at the farm with us. Read about our history here. The hardest of decisions was made when she could still stand but no longer walk. She is buried at the end of the lower pasture where she enjoyed lying near the big Maple trees looking out at the Adirondacks in the distance. Her strong will had kept her up and moving when I knew it was hard for her to walk. She had a golden spirit and achieved a friendly happy face each day in spite of the effects of age and increasing disability. It is so disappointing to think of the pasture growing and no Steppin there to graze it. How happy I have been seeing her out in the fields enjoying the grass and fresh air. Vanilla is missing her too. Time will pass and Steppin will not be forgotten. I will always love her and told her so. Steppin as a yearling. She is the dark red one on the right. Previous Post Tax Time — I am not a Housewife! Next Post Grief and Relief, Mostly Grief then a new friend……. Oh Carol I am so sad???. I always wanted that Steppin kiss. You gave her the best life. Keep the good memories. Sending hugs and love????? Thank you for your loving words Renee. How well you understand the loss of my scared cow. This is a beautiful tribute. I loved reading it and seeing the pictures. Keeping you and Steppin close in my heart. Thank you so much Carol for your kind words and love sent to Steppin and me….. Sharing my life with the creatures I love is part of who I am too. Thank you for sharing this very personal tribute. Thank you Amanda. The gentle spirits are a good way for us humans. These creatures can teach and offer us so much. I am so sorry for your loss. She was so lucky to live at your farm. I will miss your posts and pictures of her. 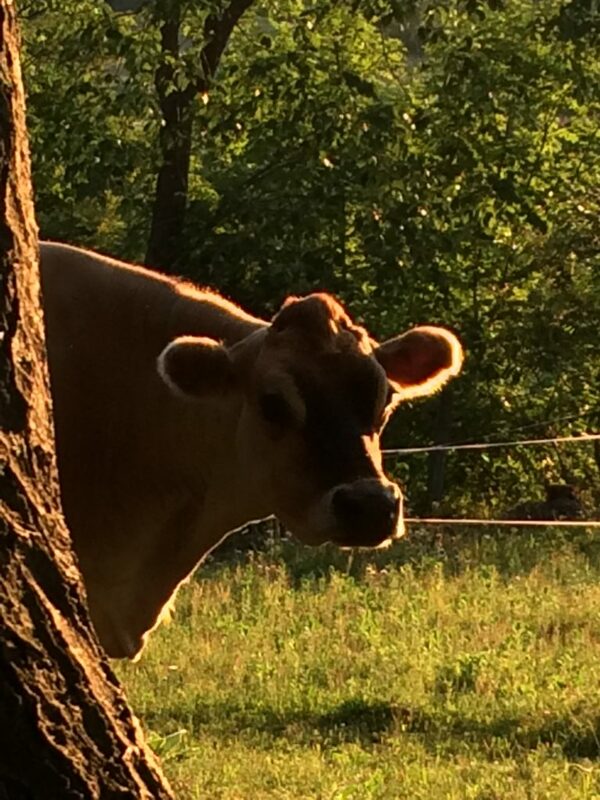 I grew up with cows and she seemed to be everything positive I remembered about them. There really is nothing negative about a cow, and Steppin was a wonderful example. She will be missed and fondly remembered. 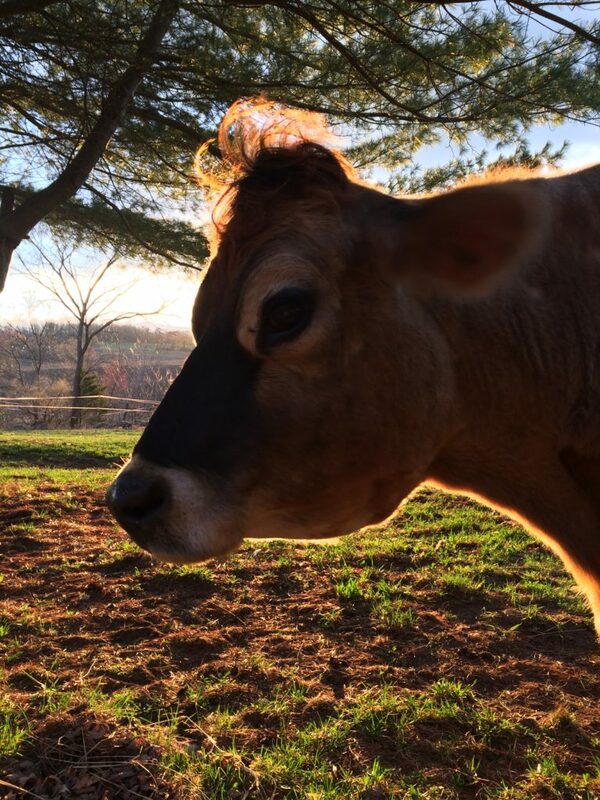 Thank you so much Tracy for your appreciation of my days with Steppin, The golden cow. 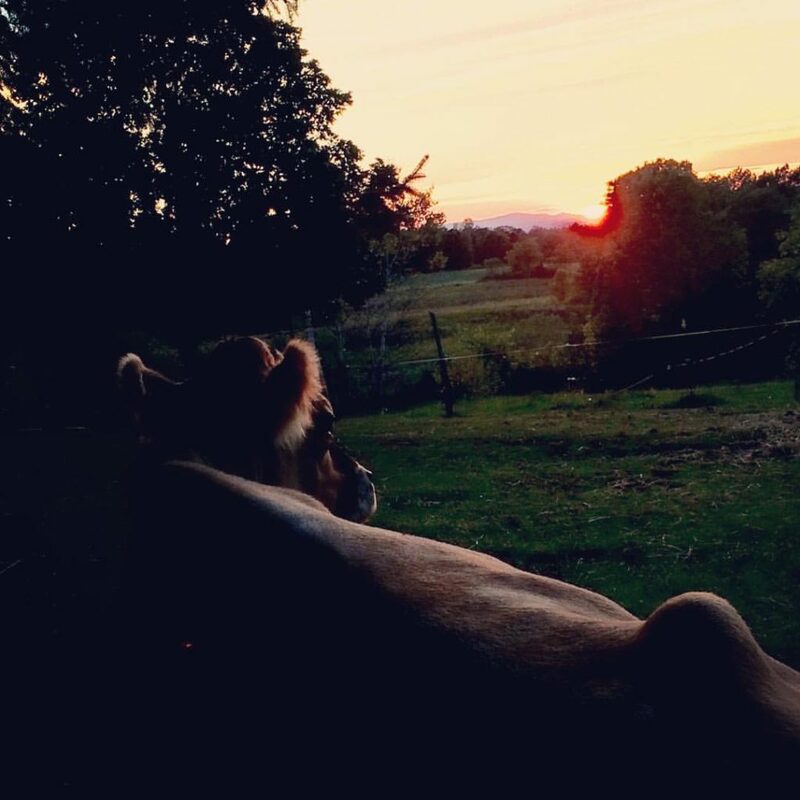 Cows are peaceful and giving creatures as you know so well.